When a tenancy agreement comes to an end, the property needs to be in excellent condition. This is the main guarantee for a hassle-free transition. 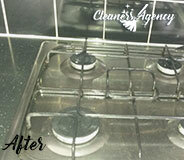 For this reason, booking a professional end of tenancy cleaning is a smart decision. Cleaning companies have the necessary manpower and cleaning arsenal to assist every tenant or landlord. Plus, they will save you tremendous efforts as well as time. If you are a tenant, who is about to vacate their rental accommodation, our company is able to offer you a high-quality cleaning service carried out by a team of comprehensive cleaning experts. We are well-known for our reliable solutions in Streatham. Give us a call and you will learn more about us. Our friendly call centre agents will be happy to answer your question. We have been serving customers for several years already. Practice shows that every end of tenancy cleaning project has its own specifications, therefore, a clear communication is essential. Although our cleaning package includes every nook of the leased unit, we always encourage our clients to share any priority cleaning areas. This can only help us optimise our work. During the cleaning session will be performed cleaning duties like hoovering and mopping all floors, overall grease and grime removal, dusting all surfaces, cleaning mirrors, top of picture frames, wiping skirting boards, switches, sockets, removing cobwebs, washing windows, sanitising the bathroom, disinfecting the toilet, etc. As mentioned above, you are always welcome to share your preferences regarding the cleaning process. If necessary our flexible cleaners will change their way of working, we know this gives you peace of mind. They are available to clean your leased property 7 days per week in Streatham. 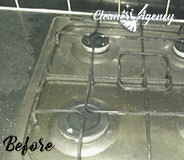 With us you are guaranteed to receive a prompt and effective cleaning solution. During our practice, we have encountered and solved numerous cleaning issues. As property owners often have very high expectations regarding the condition of their property, our service has a 48-hour guarantee. In case of any problems during the inventory inspection, we will visit you again for a re-clean. Whether you are renting or letting a property on rent in Streatham, our end of tenancy cleaning will fit your individual needs completely. 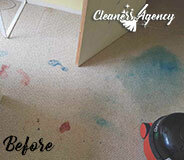 What we have for you is a first class cleaning service at a relatively good price. Thanks to the end of tenancy cleaning service of your company, I was more than ready to move in the new home. Thank you so much for the assistance. What is even better, I just got the full amount of the security deposit. I cannot wait to meet you again. Founded many years ago, Cleaners Agency London offers both commercial and residential cleaning services throughout all the territory of London, England. Over all these years we have been working really hard to perfect our strategies and methods, which today turn us into one of the top rated professional cleaning services providers in the capital. We are able to provide every Londoner with a service that will fit with their needs, requests and budget. Have in mind that our professional cleaning services are customisable and we can tailor made an individual packages meeting your specific requirements. By letting us take care of your property, you can be certain that we keep everything under control. Taste the feeling of living or working in a property which is professionally sanitised and disinfected by the most experienced cleaners in London. No matter when you need our assistance, we have got you covered. The end of tenancy cleaning can be real challenging and we have focused all of our team’s energy to create an end of tenancy cleaning service that will take care of all the dirt, dust and stains and may affect the return of your full deposit. 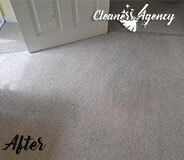 Our company’s office is stationed in Streatham and we supply our effective cleanings for all its residents. We have perfected every aspect of what you will experience while undergoing our end of tenancy cleaning procedure: The cleaning technicians providing the actual cleaning are trained and extremely professional. They have been background-checked and licensed. Last but not least, they will try to make this cleaning a pleasant and memorable experience for you, one that you might one day look back and remember with a smile on your face. The smile will be relevant considering the cleaning we can provide you with. As mentioned above, our cleaning technicians are trained in the various ways of cleaning and nothing ever slips by their sight. They know how to look for the ‘not so visible’ dirt and apply the correct treatment to remove it, resulting with the smashingly-clean outlook of the rental property.